Brilliant poems to entertain your whole family. In here you’ll find rhymes from favourite poets including Michael Rosen, Jack Prelutsky and Kit Wright, as well as some written by kids like you. 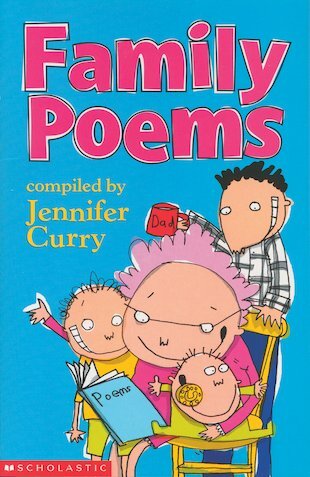 There are happy poems and sad poems, funny poems and cheeky poems, plus bratty brothers, stroppy sisters, daft dads – and grannies giving sloppy kisses! Erk! lucky you guys you read the book, i do really want to read it and i am buying it soon (in sha2 alah). this book was really funny,so for everyone out there who likes funny books well …this IS THE BOOK TO READ!! !